Homer Davenport was born in Silverton, Oregon, in 1867. William Randolph Hearst employed Davenport as a political cartoonist on his newspaper, the San Francisco Examiner. In 1895 Davenport moved to Hearst's New York Journal. At the time, Hearst was involved in a circulation battle with Joseph Pulitzer and his New York World. 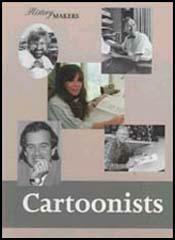 Davenport's role was to compete with Richard F. Outcault, Pulitzer's popular cartoonist. During the 1896 presidential campaign Hearst and Davenport supported William Jennings Bryan against the Republican candidate, William McKinley. As McKinley had an unblemished record in politics, it was decided to concentrate the attack on his campaign manager, Mark Hanna, the successful industrialist. After the election he produced a drawing, explaining how he had turned Hanna into an image of greed and manipulation. Thomas Platt, the prominent Republican politician, responded to Davenport's attack on Mark Hanna by trying to persuade the New York legislature to pass an anti-cartoon bill. 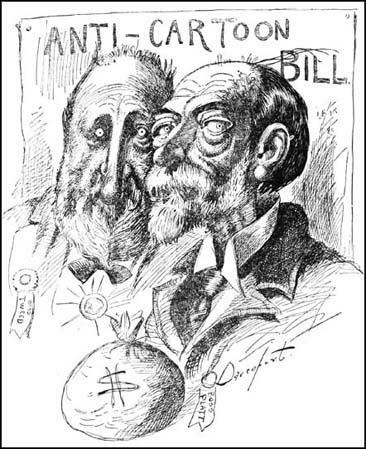 Davenport retaliated by comparing Platt to Robert Tweed, the former corrupt political boss of New York that had been brought down by the cartoons of Thomas Nast in Harper's Weekly. 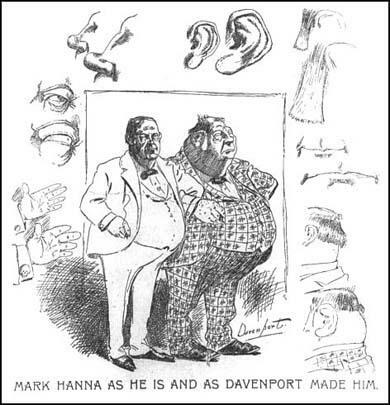 William Randolph Hearst made Davenport the highest-paid cartoonist in America but this did not stop him moving to Harper's Weekly. He also switched his support from the Democrats to the Republicans. Davenport also campaigned against business trusts and child labour. Homer Calvin Davenport died in 1912.